Located near the intersection of Mission Blvd and Riverview Dr, Extra Space Storage serves Riverside residents near Rubidoux, Downtown Riverside, Belltown, and Pedley. Locals will recognize our facility next to Louis Robidoux Library across from Mission Palms Apartments and Mission Middle School. Extra Space Storage on Mission Blvd can accommodate residential and commercial storage needs with a variety of storage units, vehicle storage, and exceptional security. 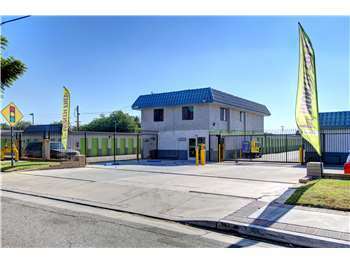 We're your storage partner in Riverside near Rubidoux! With units ranging from 5x5 to 14x30 and convenient features like indoor access, first-floor access, and drive-up access, it's easy to store items of all sizes at our Mission Blvd storage facility! Protecting your belongings is our top priority at Extra Space Storage! That's why our Riverside storage facility has an on-site resident manager, 24-hour video surveillance, and electronic gate access. 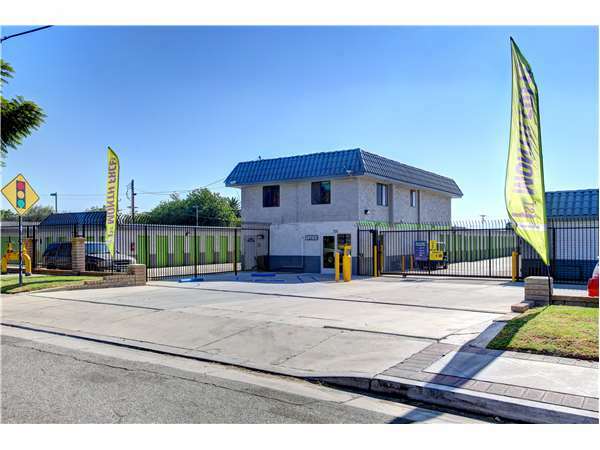 Looking to store a car, motorcycle, boat, or RV in Riverside? Extra Space Storage offers secure outdoor parking spaces in sizes 8x18 to 10x22 and enclosed drive-up units in sizes 10x10 to 14x30. You can trust Extra Space Storage to help you find the best storage solution for your needs! Our helpful staff is dedicated to providing exceptional customer service, and they ensure our facility is always well-maintained, clean, and secure so that you have reliable storage. Contact us today to reserve a storage unit in Riverside! The best service and best price. Would recommend everyone to use your services. Very freindly and helpful. It is a very clean facility. They will break into your storage unit then take the blame on you and they won't even bother to help you even when police are there. Great place for storage. Very helpful and courteous staff. Remodeling is hard-(ick!). The people at ExtraSpace Storage made things not so stressful. Thank you for everything! Great experience, overall very satisfied recommend to everyone that is looking for a unit. Will be satisfied. The employees are friendly, unfortunately the are no incentives and they close to early 8pm! Easy to use. I really needed it tonight and it came through for my last minute payment. No glitches. love it ..... its clean it has good security gate ....good prices...great features..
Do not feel like I am receiving anything extra or better for this increase. I like the fact that someone is always on location. In addition, I've found the personnel to be very friendly with very good coustomer communication skills. When and where ever, I buy property , I know theres an Extra Space near by. As an investor you best believe I look at prices, and they do have the best rates wich are the two I require, convenience and price. Customer service is a plus. the facilities are always clean, and the staff is always there to help when need, and continue to be very friendly as well. the web site is easy to use, and notified when payments being taken. I have been treated very good at this location. The managers are very good! I like that it's close to home. I like the Hours that it's open. The couple working there are great. The premises are clean, and well lit. The on-site management who takes care of the premises are professional and dedicated to your needs. Although this facility isn't located within the most up scale of neighborhoods the appearance within the facilty reflects as if it were. Rest assured you have the very best on-site management team available and that makes a world of difference! That is why we have continued to utilize this site for our personal storage needs. The overall value, cleanliness, and more importantly great on-site management team is a WIN, WIN, situation for all. Take the 215 south to 60 west. From 60- exit on Rubidoux Blvd. Turn left on Rubidoux and go to Mission Boulevard. Turn right on Mission. Go 3 blocks to LaRue- make a U-turn and a quick right into the Extra SpaceStorage driveway. We are next to Mission Vllas Senior housing and almost across from Rubidoux Tire and break. About a block away from the Riverside Library. From Riverside- take the 91 Freeway to the 60 Freeway West to L.A. Take a left at the Rubidoux exit so you are going south. Go to Mission Blvd and make a right so you are going west. Go to the signal at LaRue- make a U-turn and then a quick right. Extra Space on right side. We are next to Mission Vllas Senior housing and almost across from Rubidoux Tire and break. About a block away from the Riverside Library. From Moreno Valley- take the 60 Freeway West towards L.A. past the 91 Freeway. Take a left at the Rubidoux Blvd exit so you are going south. Go to Mission Boulevard and make a right turn so you are heading west. Go to the signal at LaRue- make a U-turn.Extra Space on right side. We are next to Mission Vllas Senior housing and almost across from Rubidoux Tire and break. About a block away from the Riverside Library. From Ontario/Upland- take the 10 Freeway East to the 15 Freeway South to the 60 Freeway East. Exit at Mission Blvd/Valley Way and turn right. Take your first left onto Mission Blvd. Extra Space Storage is on your right hand side after LaRue. We are next to Mission Vllas Senior housing and almost across from Rubidoux Tire and break. About a block away from the Riverside Library.